Kadokawa is releasing a deluxe Bluray boxed set featuring a ton of goodies and 4K digital restorations of Shusuke Kaneko's 1995 - 1999 Gamera trilogy. In addition to the restored versions of Gamera: Guardian of the Universe, Gamera 2: Attack of Legion, and Gamera 3: The Revenge of Iris, the set also contains a Bluray of Ryuta Tasaki's 2006 film, Gamera the Brave. A special effects photobook featuring 750 previously unpublished images, a 32 page booklet, and two bonus discs loaded with extra features are also included. The "Heisei Gamera 4K Digital Restored Version" Bluray Box will be released in Japan on 22, 2016. It retails for 41,040 yen (approx $378 US). 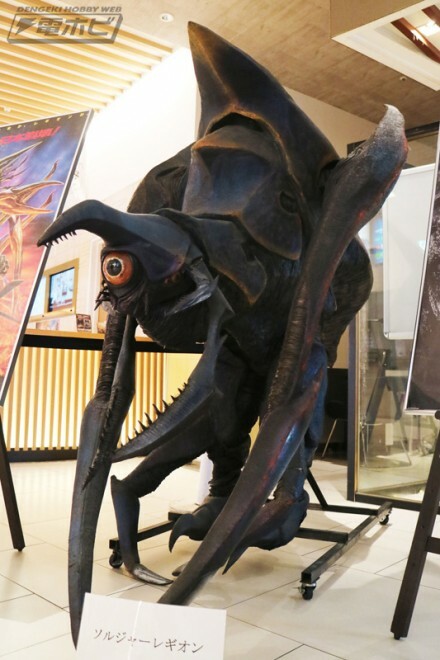 To celebrate the kaiju’s 50th anniversary, writer/director Katsuhito Ishii joined producers Shinichiro Inoue and Tsuyoshi Kikuchi in New York to show off the proof-of-concept trailer they put together for the flying turtle’s return to the big screen. 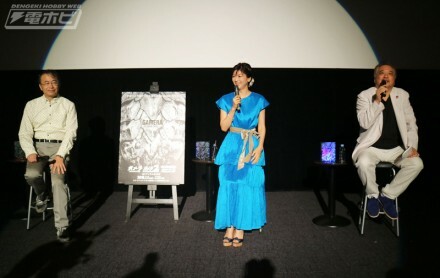 They announced that the film’s effects would be CGI, and they are looking forward to a 2016 release date at the earliest. 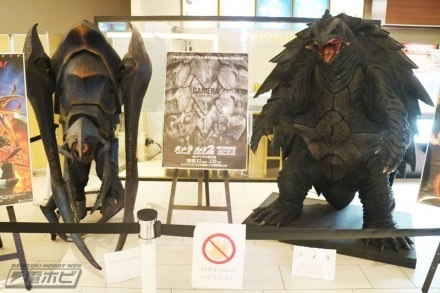 The producers cited the success of recent kaiju films like Pacific Rim and the 2014 Godzilla as inspiration for Gamera’s return. Ishii is known for being the animation director for the anime segment of Kill Bill vol.1, and the writer of the anime film Redline. 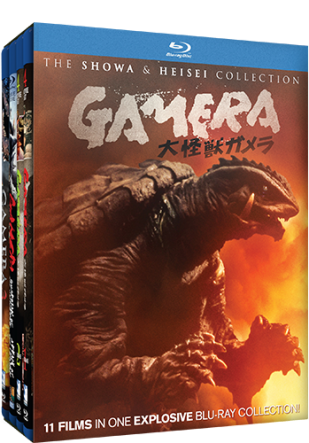 All 11 Gamera Films In 1 Explosive Blu-ray Collection! Mean, green and back on screen! Your favorite giant flying turtle returns to Earth leaving no fire-spitting scene behind. Experience eleven-times the turtle terror in this 4 Blu-ray collection from the legendary sci-fi monster classic – GAMERA! An atomic explosion releases more than massive radiation, it awakens an ancient and long-forgotten legend of Gamera! Once the fear of Tokyo, Gamera returns to earth to save it from the malevolent monster Barugon who is able to freeze anything its path. The third entry of this classic monster series continues when a volcanic eruption awakens Gyaos, a gigantic vampire-like bat who has a ravenous hunger for blood. The reign of terror continues when evil aliens cast a spell on the Flying Turtle, Gamera stopping him battling their monster, Viras. Gamera, the giant flying turtle, spurs into action when an evil alien with a taste for human blood, abducts two young boys. The fire-breathing action lives on as Gamera prepares to battle one of his greatest foes, Jiger, a remiscent of the extinct Triceratops sent to Japan to seal an ancient statue. When aliens invade Earth with the intention to enslave the human race they bring a deadly pointed nosed underwater monster, Zigra, to assist their evil plan. The final entry of the Showa Gamera series revives all of the previous evil monsters. Plotting to destroy and enslave human kind Earth’s Superwomen enlist the help of Gamera. Gamera is ready for the new century and new combats when he takes on the misguided military and their hideous race of man-eating flying reptiles. A freak meteor shower brings electrical problems; over-grown plant life and a whole slew of rather irritable critters drop in to threaten the human race. 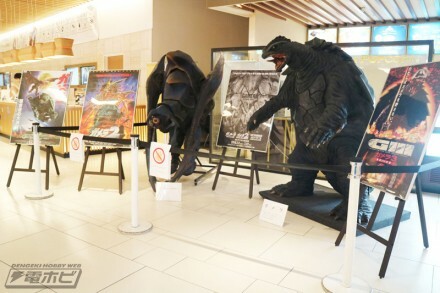 It’s up to Gamera to destroy the bugged-out invaders. The Gyaos have returned bringing a flying blood-sucking squid monster called, Iris. Dr. Nagamine and Inspector Osaka are reunited to help Gamera in his relentless quest to protect and save the human race. 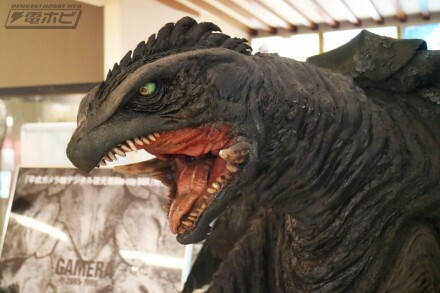 While Legendary Pictures is finishing up on their production of a 60th anniversary Godzilla film here in the states back in Japan Kadokawa studios is in the early stages of production on a 50th anniversary Gamera movie. The plans for this new film were revealed recently when the Japanese retailer Amiami listed an advertisement for the upcoming Summer issue of Newtype magazine that has the exclusive scoop on the details. The issue will reportedly contain storyboard images and other pre-production art. 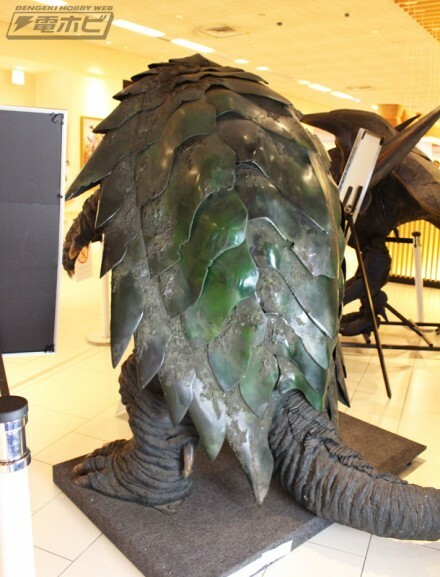 Until now a 50th anniversary Gamera film had been speculated but not confirmed. 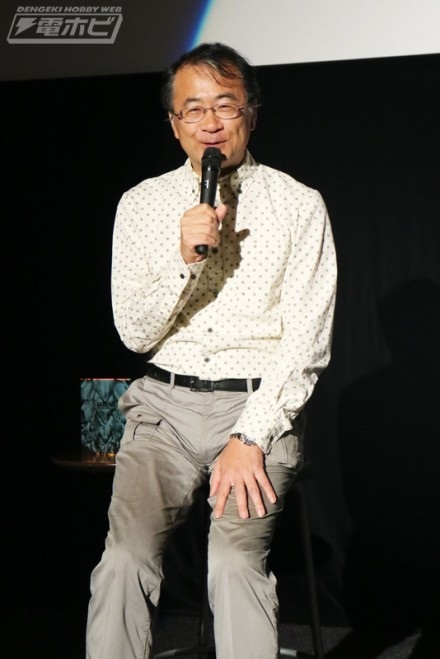 In recent years Kadokawa has shown a great interest in resurrecting the fantasy film franchises' of Daiei starting with 2010's 'Daimajin Kanon, a television drama based on the studio's Daimajin trilogy produced in the late 1960s. Many fans of the Japanese giant monster genre (kaiju-eiga) consider Kadokawa's three Heisei era (1995 - 1999) to be the best ever produced. 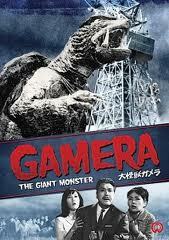 That being said the last Gamera movie, the 2006 release 'Gamera: The Brave' failed to recapture that glory. 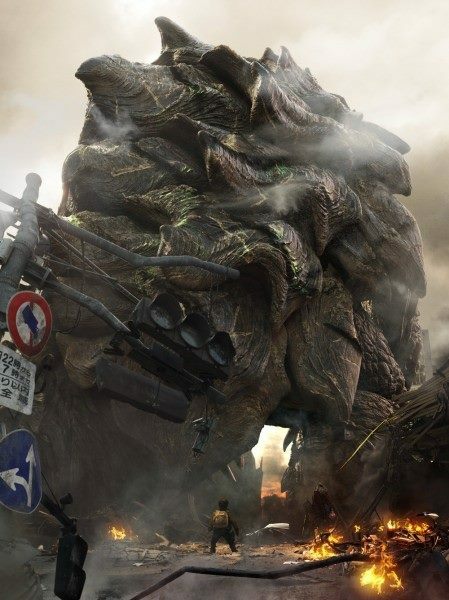 It will be interesting to see just what Kadokawa will have up it's sleeve to try and keep pace with Legendary's 'Godzilla' and the new bread of Kaiju films being produced in Japan as of late. 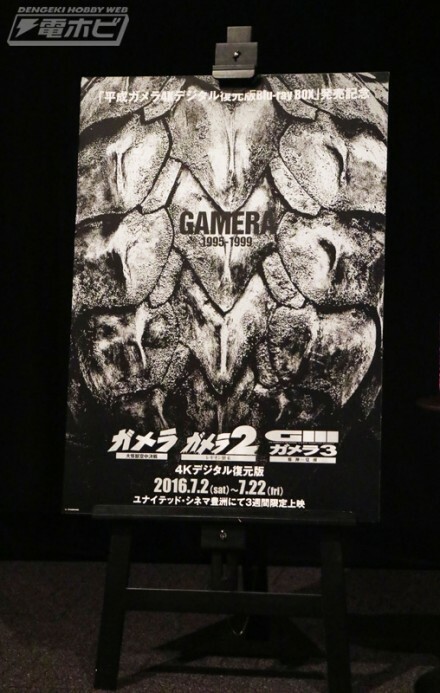 The classic Gamera was directed Noriaki Yuasa, who helmed all seven of the original Gamera entries in the Showa era series between 1965 and 1971, and stars Eiji Funakoshi (Fires On The Plain), Harumi Kiritachi, Junichiro Yamashiko and Jutaro Hojo (Wrath of Daimajin). The subsequent franchise was more kid-friendly (yet ironically bloodier) than Godzilla, who became less menacing and more cuddly himself during the Sixties. 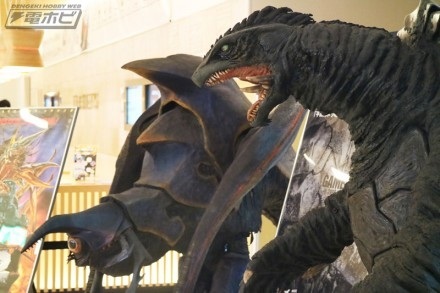 The Gamera series was creative in the monstrous nemeses that it pitted against the towering turtle, the most famous being the flying, pointy-headed Gyaos, who was resurrected for the successful trio of movies in the Heisei-era. Goohead features classic Asian feature films and television series for free in the simplest possible, clutter free way in three clicks or less. 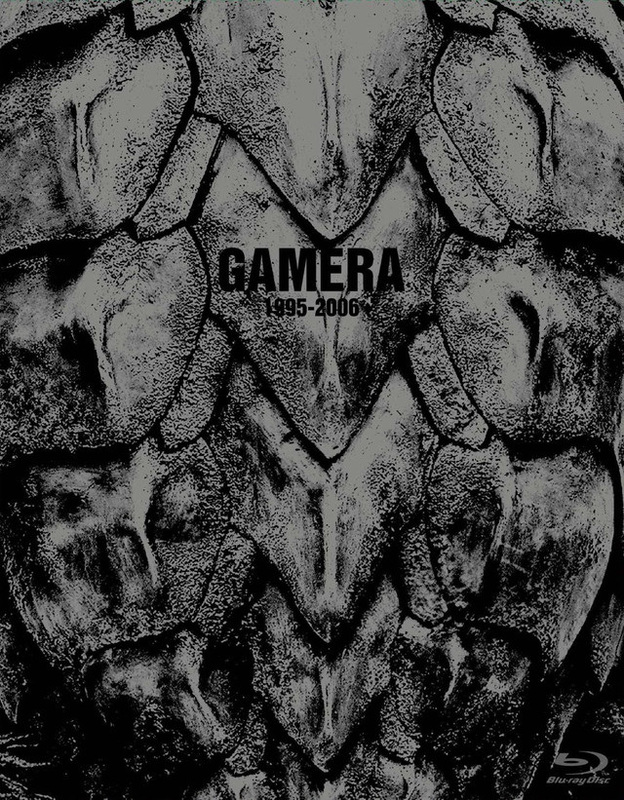 Included in the more than one hundred and sixty hours of content are the famous GAMERA series of eleven full-length feature films produced from 1965 to1999, in there original aspect ratio plus some rarely seen complete television series from the '70's. The next series they are adding is ULTRAMAN (1966-1967).